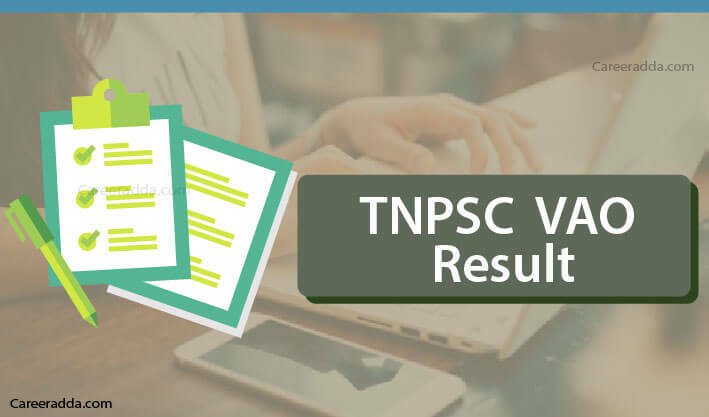 TNPSC VAO 2019 Results [Merit List, Answer Key] : TNPSC VAO result 2019 for the recruitment of various positions of group 4 services and VAO will be published by the Tamil Nadu Public Service Commission on the official website. In case you qualify in the written test, you will be called for document verification. Qualified candidates in the written test will also get an SMS from the commission stating that you have qualified. If you have taken up the TNPSC Group IV test for VAO position, you should know when to expect the release of result. You can expect the release of results for the written test to happen around five months after the date of the test. However, after the test and after the final answer keys are published by the commission for the written test, you can regularly visit the website of the commission to know the exact date on which the results might be published. Within two or three days after the written test or within a maximum of one week, you can expect the release of the answer key to happen on the official website of TNPSC. You should try to remember the answers that you gave in the written test until then, such that you can evaluate your scores to a certain extent. The commission will also provide the chance for the test takers to raise their objections for any answers given in the answer key with appropriate documents supporting their claim. If you think about raising objections, you should do this within a week from the date of publishing of results. How To Download Answer Key? They will find a tab called “Result” on their right-hand side on the home page of this website. When they click on it, a drop-down menu will open, where they will find “Answer keys” as one of the options. When they click on it, they will find the list of recruitments conducted by TNPSC in table format. This table will have a column called date of examination and another column called answer keys, which is split into two tentative and final. Here, they will have to look for Group-IV and click on the date corresponding to it. The reason is that recruitment for VAO is conducted along with other positions in Group IV, which is otherwise called as Combined Civil Services Examination – 4. When they click on the date, they will be taken to a page that contains links to “General Tamil”, “General English” and “General Studies”. They will have click on each link separately and can download answer key for each separately. Then, they can compare the answers in the key along with the answers they gave in the test to judge their score. In case, a candidate has any objections to the answers posted in the key, he/she has the option to raise an objection. The candidate should do this within a week after the release of the answer key with appropriate evidence to the claim. The claim will be evaluated by an expert committee and if there are some changes, a final answer key will again be published by the commission. How To Check TNPSC VAO Result? On the right side panel, they will find an option called result. When they click on this link, candidates will be taken to a page that contains the list of results published by TNPSC. They will have to look for the TNPSC Group IV in the table and should click on the date corresponding to the row that contains this recruitment. When they click on the date on which the result was published, they will be taken to a PDF page, which will have the list of the registered number of qualified candidates. Candidates will have to search for their registration number on the PDF page. Even, candidates, who have qualified in the written test, will get an SMS to this effect to their registered mobile number. If qualified, a candidate will have to wait for the link to the scorecard to be published in a day or two in the same page, where they found the link to the result. Candidates qualified in the written test will have to regularly visit the website of the Tamil Nadu Public Service Commission to gather details about the date and venue for document verification. Once this notification is available, the commission will send an SMS to this effect as well. Candidates should remember that they will not get the call letter for the document verification to their address; they will have to download it from the website. Final merit list will be published by the commission after document verification on its website. If the candidate belongs to a special category like differently-abled, ex-servicemen or destitute widow, they scorecard will have ranking secured by the candidate on this category as well. TNPSC generally specifies the cut-off along with the details of recruitment. Based on the previous year, the minimum qualifying marks for the selection is 90 out of 300 for all communities. However, there will be relaxation for the reserved category candidates in this mark.